As a family-run, multi-location garden centre business, Scotsdales has been serving the local community for nearly 50 years. A leading provider of plants, garden decorations, furniture, landscaping and much more, as well as destination and tea room in its own right, the Scotsdales brand is well loved in the Cambridgeshire area. So much so, that the Great Shelford branch is now one of the biggest and best garden centres in the UK today. We worked with Scotsdales' marketing agency Thomond to carry out competitor research to help them plan a completely new website. As a successful business in its own right, research was needed to establish whether or not the brand would benefit from selling online. We worked alongside another agency, to carry out competitor research to help the client to understand the value of providing an online shop front within the garden centre marketplace. In our role as an external consultancy, we also sought to establish what products would be advantageous to sell via the internet and to help to identify their target market. With over 40,000 SKU’s in their catalogue alone, ranging from as little as £0.49 up to £5,000 plus, being able to identify what people are buying online from similar providers was essential to success. Knowing exactly what to stock online ensures that Scotsdales can focus on the products that online consumers are purchasing. In order to provide a good user experience and to ensure repeat purchases, it was important that we were able to understand the logistics involved in getting every order out to the customer as soon as possible. With stock held across all 3 garden centre sites as well as a central warehouse, order fulfillment was one of the key considerations when looking to sell goods online. Having undertaken in-depth research, we were able to provide both the agency and Scotsdales themselves with detailed analysis of how best to proceed with an ecommerce site. 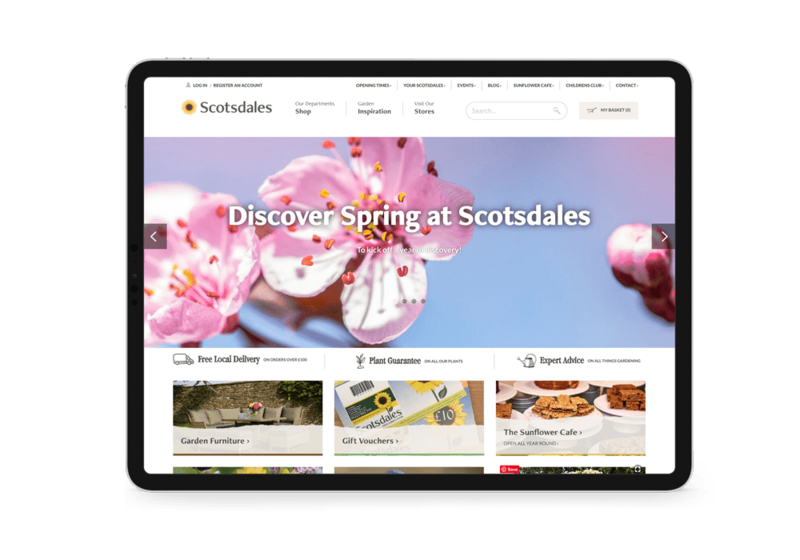 We also worked alongside Thomond to create a briefing document that enabled Thomond to invite tenders from web-design agencies to build Scottsdale's brand new website.